The 17mm top will accept any TechMount 4th Generation accessory. 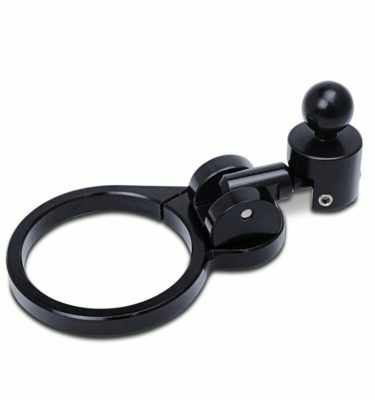 Enables the mounting of our various TechMount GEN4 cradles, adapters and platforms to your Ducati GT1000/Sport 1000 or Kawasaki Ninja Motorcycle. 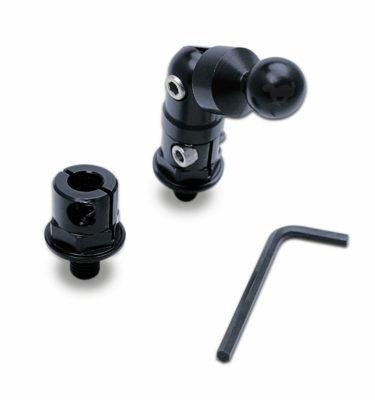 Mount attaches to the top of the fork tube on many Ducati and Kawasaki sport bikes. This system is easily installed by sliding the clamp over the fork tube that protrudes from the top triple clamp and tightening the tension screw. Each mount is crafted to match the fork tube diameter of your motorcycle. Once installed, it looks as if it is part of your bike. Shaft length is 1.5″, height 2.5″ and has a patented 17mm ball post mounting system. Interfaces with the TechMount Gen 4 mounting platforms and cradle.